This beautiful poly-resin frame doubles as a table number holder and is hand painted in white and finished with silver accents. The design has a brushed leaf border in three layers with an inner beaded border showcasing the photo. 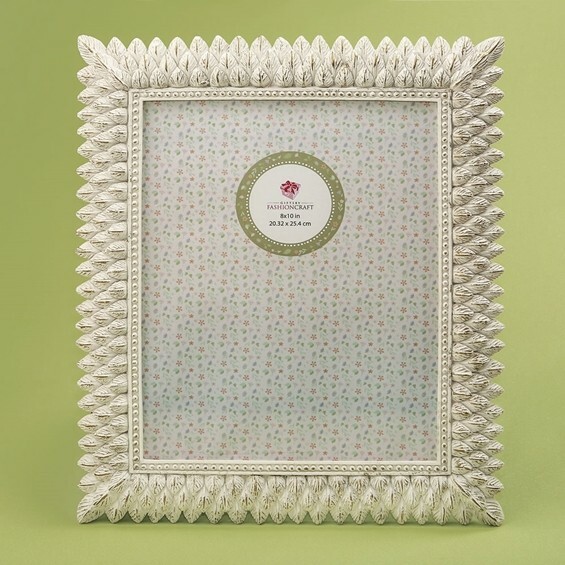 The frame holds a standard 8 x 10 photo and can be placed vertically or horizontally.